Pope Francis’ Apostolic Exhortation on holiness, Gaudete et Exsultate (‘Rejoice and Be Glad’), with the subtitle “On the call to holiness in the contemporary world,” will be presented on Monday in the Vatican. 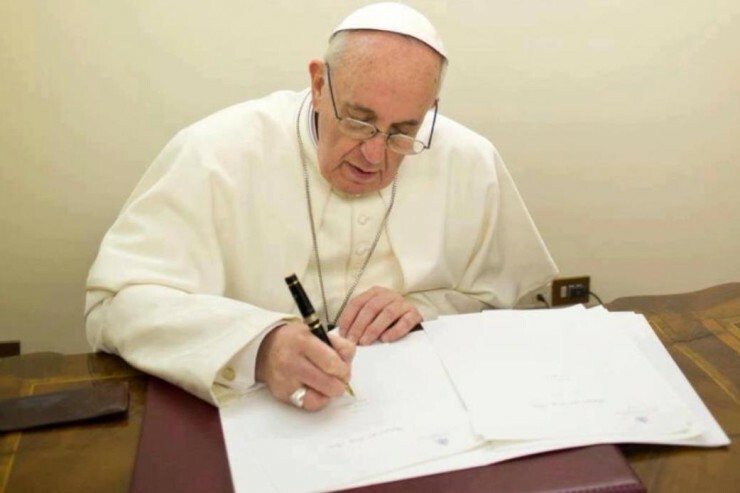 In a statement, the Holy See Press Office announced that the document will be presented in the Press Office on April 9, 2018, by Vicar General of the Diocese of Rome, Bishop Angelo De Donatis, Paola Bignardi, former president of Catholic Action Italy, and Italian journalist Gianni Valente. This Exhortation marks Francis’ third, after his Evangelii Gaudium (‘The Joy of the Gospel’) in 2013, and Amoris Laetitia ( ‘The Joy of Love’) in 2016.